At CK Dental in Bristol, our experienced, skilled and friendly team of dental professionals all share the same commitment: putting our patients at the heart of our practice. His passion for the latest technology and its implication in day-to-day dentistry for the benefit of the patient could not entirely be satisfied until the opening of CK Dental where patients can now benefit from the latest technology together with his calm and gentle approach, vast experience and reassurance. Qualified in dentistry from the Berlin Humboldt-University, before specialising in Maxillofacial Surgery, PhD, DDS. Dr Stiller is the Assistant Professor and Medical Director of the Department of Oral Surgery and Radiology at the Clinic of Maxillofacial Surgery, Free University of Berlin. 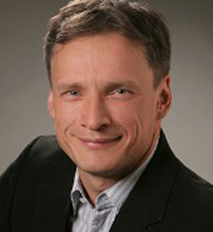 He has a specialist interest in soft tissue regeneration in implantology and different techniques of both bone and soft tissue augmentation. 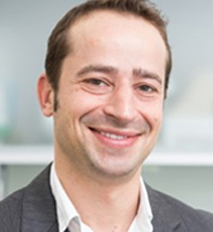 Dr Stiller is a Specialist for Implantology of the European Dental Association (EDA) as well as a member of leading European and international dental associations. In addition to his private dental practice in Berlin, Dr Stiller regularly sees complex maxillofacial and implant cases at CK Dental in Bristol.